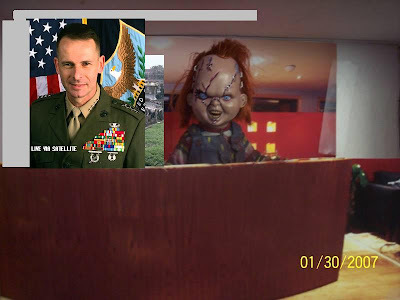 General Pace thank you for coming on the ChuckyNewsChannel. General Pace I came out of hiding to find out about the controversy regarding your remarks. Well Chucky I called the act of homosexuality as being amoral. A Marine Corps general with a moral compass who wouldn't want that?